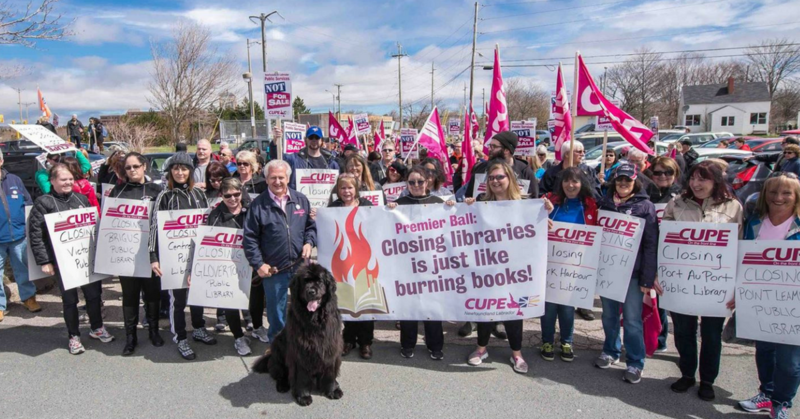 Since government’s announcement in 2016, CUPE has been fighting to ensure that the libraries remain open, providing necessary library services to the citizens of Newfoundland and Labrador. CUPE would like to thank everyone in the province who fought alongside us in the struggle for libraries, especially the New Democratic Party; local library boards; CUPE members, especially those in Local 2329; library patrons; and the community in general. “This would not have been possible without each and every individual who stood up for the kind of community we want to live in. 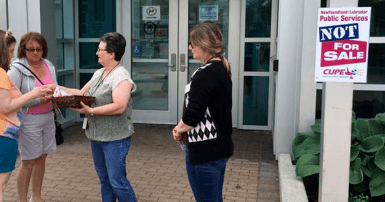 A community which includes libraries, and the excellent services provided by members of CUPE Local 2329,” says Wayne Lucas, president of CUPE Newfoundland Labrador. “I’m personally very pleased to hear the minister confirm that our library workers can rest easy, knowing their jobs are safe. I’d like to thank Minister Kirby for his work on this file,” says Lucas.